Dj Glo, The Youngest Hip Hop Artist who represent the Element of a B-girl, Dj and an Emcee. 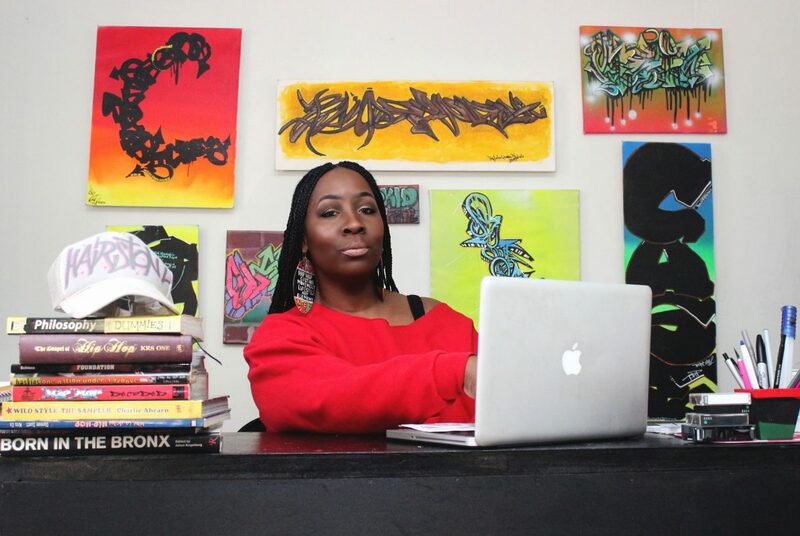 The daughter of the Legendary Dj Lord Jazz from the Iconic Hip Hop Group “Lords Of The Underground ” is breaking into this culture with a bang. Growing up listen to artist such as Masta Ace, Method Man , Red Men and being guided by her father she adapted to this culture and giving it a twist of her own. This Pint Size Hip Hop Artist who speak 3 different language started her career as a Dj at the age of 4, by the age of 7 she tour in Paris, France, Ohio and Newark Nj as a Hype Girl, Dj and an Emcee. To add to the 8-year-old resume she is one of the youngest producer who is creating beats on the MPC 2000XL and SP1200. 43 rue de Douai 75009 PARIS. Posted on September 22, 2013 July 22, 2016 by Hip Hop Education 4 YouthTagged 8yearolddj, 8yearoldmc, BGirl, DjGlo, djlordjazz, HiphopDj, lordsoftheunderground, mpc 2000xl, YoungDj, youngestdj. DJ GLO LOVES WHAT SHE S DOING ! !